Are Luminal Rehabs Private and Confidential? How Long Does Inpatient Luminal Rehabilitation Last? Are You, or Is the Addict, Ready? ...more people abuse phenobarbital than any other type of anticonvulsant medication in the world. -Patrick Kwan and Martin J. Brodie Research done by Patrick Kwan and Martin J. Brodie found that more people abuse phenobarbital than any other type of anticonvulsant medication in the world. Luminal is one of the brand names for this type of medication. Doctors often use the drug in the treatment of disorders that cause seizures because the medication calms the central nervous system. Others use Luminal for recreational purposes because it leads to heavy sedation and drowsiness. Luminal rehab centers offer specific treatment programs and plans for those who have an addiction to this medication. The centers can also offer support for those withdrawing from the prescribed use of the medication. According to the Substance Abuse and Mental Health Services Administration's National Survey on Drug Use and Health, less than 12 percent of people who seek treatment for addiction do so at an inpatient facility. An inpatient Luminal rehab center has a number of benefits over outpatient treatment programs. These centers reduce the interaction that you have with loved ones or friends who use Luminal, and the centers reduce the number of temptations that you face on a daily basis. Call 1-888-341-7785 if you need help finding the best inpatient treatments for Luminal addiction. You need a Luminal rehabilitation center when you find that you have an addiction to Luminal. Addiction is different from use, misuse and abuse of the medication. You can misuse the medication if you take a second dose because you forgot that you took a dose earlier. If you take a larger dose or you take more doses than prescribed, you abuse the drug. When you have an addiction to Luminal, you suffer withdrawal symptoms when you stop taking the drug, and you take the drug longer than recommended. If you used a phenobarbital in the past, you might have a higher tolerance than someone who never used the medication before. When you find that you must take a higher dose each time and that you need the drug daily, you have a dependence on Luminal and need a rehab center. A Luminal treatment center puts your privacy above almost everything else. These centers understand that you entered the program because you wanted to get clean and sober. An inpatient rehabilitation facility removes you from situations where you used drugs. A Luminal treatment program will only reveal information to those you approve during the intake process, including your emergency contact. Some programs also give you privacy during your treatment in the form of private bedrooms and bathrooms. An inpatient Luminal rehab center must last for a period of at least 28 days because the center wants to ensure that you learn the skills needed for survival outside the walls of the center. If you stay for a weekend or a few days, you do not have enough time to learn those skills. Many Luminal treatment facilities offer programs that run for one month, but you can also find programs that last for several months or up to one year. 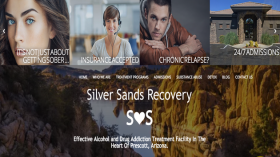 There are also combination programs that use inpatient and outpatient treatment methods. You stay there during the week, but the program lets you go home on the weekends. During treatment for Luminal addiction, you attend addiction therapy sessions. Many Luminal rehab centers offer sessions where you meet with a psychiatrist or counselor and group sessions where multiple people with Luminal addictions discuss their recovery processes. You also undergo the intake process, which gives your doctor a chance to learn more about your addiction. After you leave the Luminal rehabilitation program, you attend sessions and meet with your doctor, which helps you stay away from drug use. The center will also help you with detoxification from Luminal. You might experience some side effects as your body adjusts to life without the drug. According to SAMHSA, the mean cost for inpatient treatment is just over $3,000 per stay. Private Luminal rehabilitation facilities often cost more than public institutions. You can finance your treatment in different ways, and you can use insurance as many Luminal rehabs accept health insurance. When you call 1-888-341-7785, you can learn more about paying for private rehab centers. You have the choice to stay at a center near your family and friends, or you can pick a center in another city or state. The type of support system that you have should determine which one you choose. 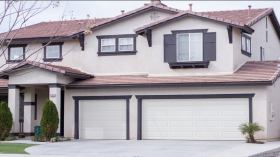 Staying near your home is best for those with a strong support system of family and friends, while traveling to a facility is best for those who want to start over again. When business-related concerns are hindering you or a relative from getting assistance for a illicit substance abuse problem or behavioral addiction, executive rehab treatments will be what you need. Pairing top drug, alcohol or behavioral addiction treatments with the freedom of computer and mobile access, a businessperson can get support while staying relatively "plugged in". Often, contemporary illicit substance and behavior treatment facilities feature the nicest amenities you would expect to enjoy only in the nation's best hotels, with your comfort and well-being being the primary goals. From 5-star chef-prepared meals and fine linens to gym facilities and private rooms, you can get the best-rated drug, alcohol or behavior treatment for yourself or your relative while relaxing in comfort. For support in searching for the best-quality luxury treatment centers for Luminal addiction, dial our helpline free of charge as soon as possible at 1-888-341-7785. Staying clean when you leave a Luminal rehab center is easy if you use the skills that you learned in the center. The centers teach you how to avoid situations where others might use Luminal and how to cope with stress that might lead you back to the drug. Admitting that you have a problem is the first step in conquering your Luminal addiction. If you know that you have a problem, you are ready to get help. You can also help a loved one admit that he or she has a problem, which is the first step in getting help for that person. These withdrawal symptoms can occur in those who take the medication under a doctor's supervision as well as those who use the drug without a prescription. Rehab centers have several ways of dealing with patients withdrawing from Luminal. Some centers provide medications, which reduce the overall symptoms of withdrawal. These drugs trick the body into thinking that it can still feel the effects of Luminal. You should never say never when it comes to getting clean from Luminal. A good Luminal rehab center can provide you with all the assistance you need to get off Luminal and stay away from the drug. You can even discover ways that other people with this addiction battled their cravings after going home. Call 1-888-341-7785 for more information on finding the right Luminal treatment center. What are the slang, street names or nicknames for Luminal? Am I addicted to Luminal? What are the long-term effects of Luminal abuse? The long-term effects of abusing Luminal are serious. You might suffer from breathing difficulties, lessened inhibitions, poor decision-making skills, impaired judgment and memory loss.